Do you have deep software development skills? Do you enjoy learning the latest technologies, collaborating with other team members, and solving really hard problems? If so, continue reading. We are looking for exceptional talent to rapidly build applications that use exciting new AWS services and open source frameworks, like Serverless applications, Big Data analytics, and Alexa for Business. Our Customers are internal AWS employees, such as Sellers, Solutions Architects and Consultants. Our mission is simple, help them be as efficient as possible through tools and automation, and empower them with reliable data to make critical business decisions. What’s in it for you? You will be part of an exceptional team of engineers where collaboration is highly valued, where innovation is something that happens every day, where taking risks is encouraged and every day is Day One. You will face unique challenges, learn from some of the brightest minds in the industry and build deep expertise in the most sought after skills in the market. You will have the opportunity to be part of one of the fastest growing, customer obsessed, and innovative companies in the world. · Designing systems to meet unique requirements. · Continual improvement of the systems as they will need to scale and continue to meet the demands of a rapidly growing, dynamic business. · Improving cycle times, maintaining system integrity, developing integration/efficiencies within the system and automation of manual processes. · 7+ years experience building scalable and extensible software. · 3 + years experience in front-end software development, UX/UI. · Experience with AWS APIs. · Demonstrated ability to collaborate with other software developers to maintain architectural vision and software quality. · Passion for innovation and learning. 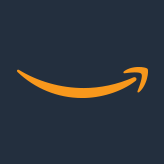 · Meets/exceeds Amazon’s leadership principles requirements for this role. · Meets/exceeds Amazon’s functional/technical depth and complexity. Want to get notified about new jobs at Amazon?